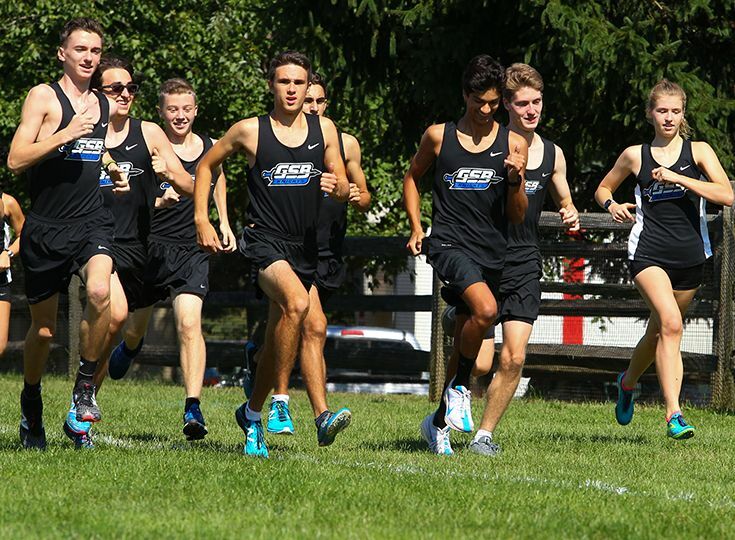 The cross country teams competed in the first of three championship races this past week. The boys’ squad took home a 13th place finish at the Somerset County Championships while the girls’ team sent two runners to compete individually at the meet. Neils Rongen '20 recorded a top-50 finish for Gill as he finished 47th overall with a time of 18:30. Rounding out the top five place scorers were Matt D’Ovidio '18 (51st), Andrew (78th) and Brian (79th) Young '21, and Teddy Lazar '20 (85). Also having a great day for the Knights was Will Strong '22 as he took 10th place in the freshmen race with a time of 12:44. On the girls’ side, Lucie Antonius '21 had a great race as she finished 34th overall in a time of 22:09. Also placing for the Knights was Lilly Fischer '18 as she took 63rd with a time of 26:13. Anne Wang '22 competed in the Freshmen race and had a great finish as she took 10th place overall in a time of 16:57. The Skyland Conference Championships will take place Thursday, October 18 and the Prep B Championships will be on Wednesday, October 24.